You are here: Home / News / RoboTigers Win! The students have been working all year learning, problem-solving, designing, building and programing. 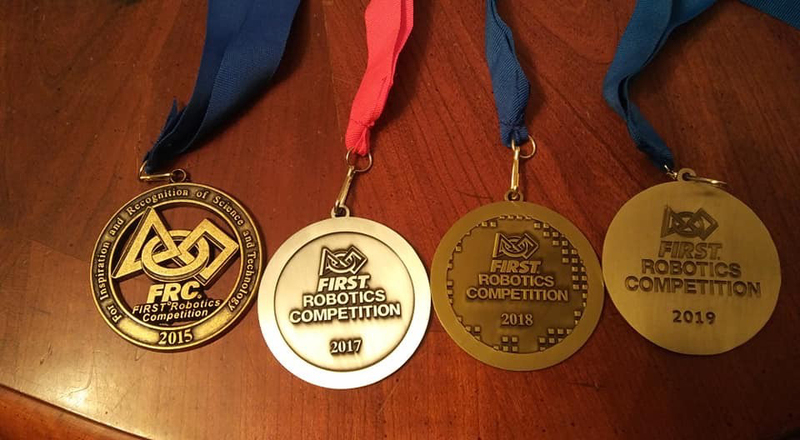 FIRST Robotics sets the theme of the competition. The 3oth season of FIRST® travelled to the outer limits of the universe in DESTINATION: DEEP SPACE presented by the Boeing Company. Essentially, there are 6 robots on the play field, and the robots are in a three team alliance where they aim to score more points than than the other alliance. Matches are about 3 minutes long. 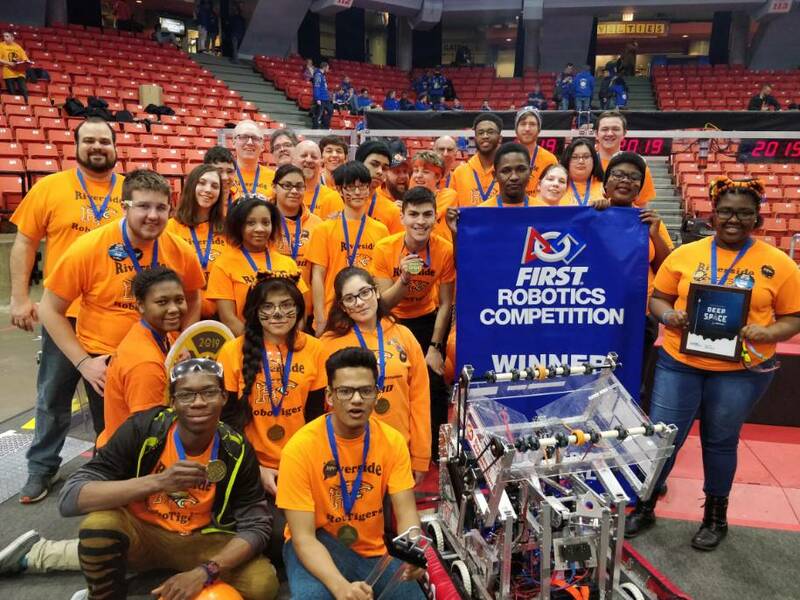 Our RoboTigers (Team 2830) took 1st place at the Midwest Regional in Chicago, stamping their ticket to the World Championships in Detroit in April. Four of the past five years, we’ve earned our spot to compete in the world competition.